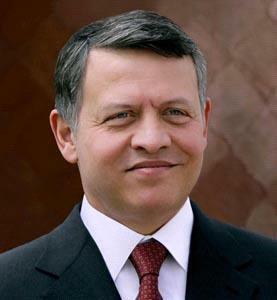 AMMONNEWS - His Majesty King Abdullah II on Thursday sent cables to leaders of several countries congratulating them on national occasions. The King sent cables to His Majesty Sultan Mohamed V of Malaysia, the President of the Republic of Uzbekistan Shavkat Mirziyoyev, the President of the Kyrgyz Republic Sooronbay Sharipovich Jeenbekov, the President of the Slovak Republic Andrej Kiska, and the President of the Republic of Vietnam Tran Dai Quang. In the cables, His Majesty wished the leaders of those countries continued good health and their peoples further progress and prosperity.